Check out these amazing photos of the rare Crystal Jellyfish (Aequoria sp.) 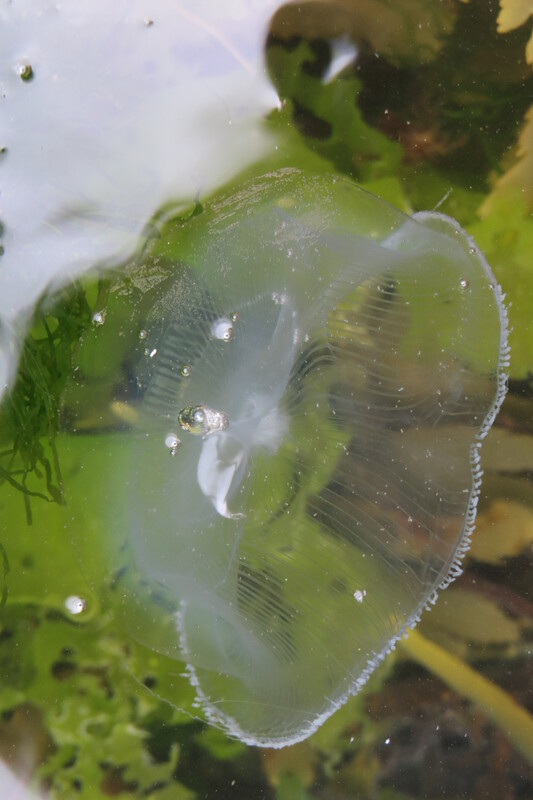 taken by Claire Lewis of Cornwall Wildlife Trust in a rock pool on Looe Island. 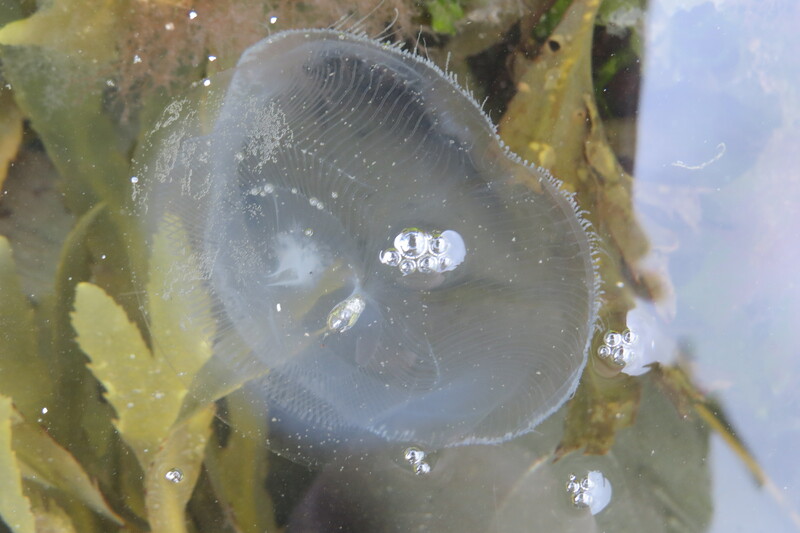 Crystal Jellyfish are common in the northern Pacific Ocean but are rare in UK waters. These beautiful transparent creatures glow in the dark and can eat jellyfish bigger than themselves, but mostly feed on tiny marine animals called copepods. They sting their prey to catch them, but don’t worry, their sting isn’t usually powerful enough to cause more than redness and itching in humans. If you spot a Crystal Jellyfish on the beach or in the water, please do let me know. Try to take a photo and tell the Cornwall Wildlife Trust where and when you saw it. Please note that Looe Island is a marine nature reserve and any visits must be booked through the Cornwall Wildlife Trust.